Thirteen years ago, Basement Jaxx released a song which fits entirely appropriately with this post today. Oh my gosh! Yes, quite literally oh my gosh. 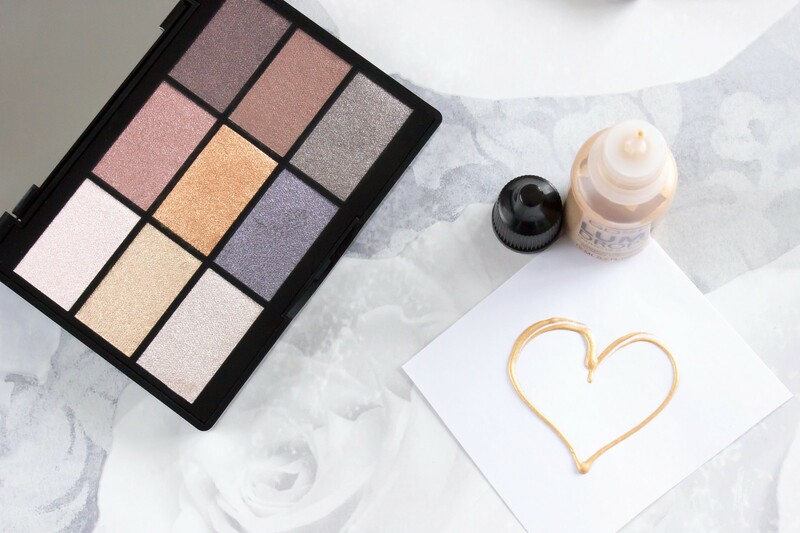 I have discovered a new palette from the beauty brand GOSH which I absolutely adore, along with some other beauty products which I would hand on heart recommend trying out if you have the chance. Just under two weeks ago I shared a post which featured a number of new beauty products which can be picked up in your local Superdrug. Today I am back with more of a dedicated feature on those releases from GOSH because I have been super impressed with them and honestly felt as though I had to share them with you once again; only in a bit more depth this time. There is for me of course a stand out product, that being the GOSH 9 Shades to Party in London* palette. This contains nine metallic shades all encased within a nice, compact sized palette which would be practical for both for use when travelling and of course at home. The packaging itself is nothing to write home about, it is after all just black plastic with nothing remarkable about it. Yet for me, the quality of the shadows and indeed the price point of £12 is what makes it so darn good. There is only one shade which I know I will not make full use out of, that being the blue shade. However, it isn’t unusable as it isn’t bright blue, in fact when swatched it has quite a steely grey undertone to it with a navy tone running through it, therefore you could definitely use this for a dark smoky eye. 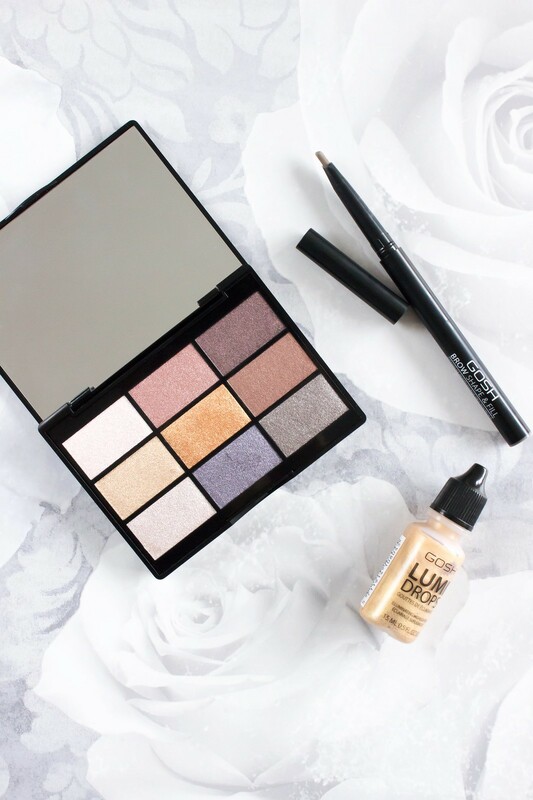 The warmer brown tones and light champagnes are more appropriate for every day, even though they are metallics they are wearable and not over the top. Dampened down they will of course have more of an impact. In terms of pigmentation I think each and every one of the shades is fantastic, they also apply well and blend together evenly. In respect of how long these last on my eyes, I would say throughout my entire working day, which seems to become longer and longer as each week goes by lately. I always prime my eyes with a Mac Paint Pot so obviously this helps but even so, for a high street palette this is very, very good. To be honest I find it hard to fault this at all in any way shape or form, it is a great palette and one which I urge you to try out if you do have the time. Plus, it will be great for the party season. The GOSH Lumi Drops* are another great item for the upcoming festive period, however the shade I have here is not practical for my skin tone. It’s too gold and will look a bit odd, that being said, the quality is very good and it certainly will add highlight so if this is what you’re looking for then I would definitely check it out. There is a really nice vanilla shade which I personally would love to try out as I think that would be really nice on my skin tone and would create quite a striking icy effect. As previously mentioned in my post two weeks ago, I really like the GOSH Brow Shape & Fill*, I think it offers a brow shade that very few brands seem to do on the high street, that being a cool toned brown. In my experience, every brow product I have tried (barring Soap and Glory Archery) has been far too warm, even if they claimed to be ‘natural’; they never look natural on me that’s for sure. This I feel offers something different, although the annoying thing is, from looking online at least, is that there are only three shades available; whether this is reflected in store or not I do not know. Three shades are often the norm on the high street when it comes to your brows, it is a shame but I guess the same can often be said for high street foundations in that the shade ranges are often somewhat limited. That being said, I do recommend trying this one out due to shade being quite cool toned; it looks so much better. I do wish that the applicator was thinner, it is angled slightly but after first use this becomes blunt so more care is needed after the initial application. It is also duel ended which in all honesty is a wasted element on me, the powder duel end is just too messy and not precise enough. I also feel that out of all three products featured today that this is a product that I really want to recommend because the one side is good barring a minor irk, however the other is in my opinion not warranted and is somewhat a bit of waste and therefore makes me want to say skip it. I am 50/50 on this, I like it but I also want to make amendments to it because I think it could easily be made so much better with just a few minor changes.